Among the mountains of Southern Tagalog that are left untouched by my itchy feet is Mt. Romelo. 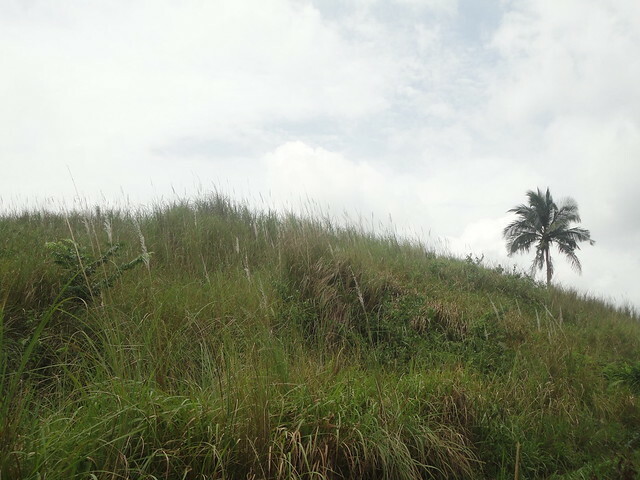 This mountain, also called by some mountaineers as Mt. 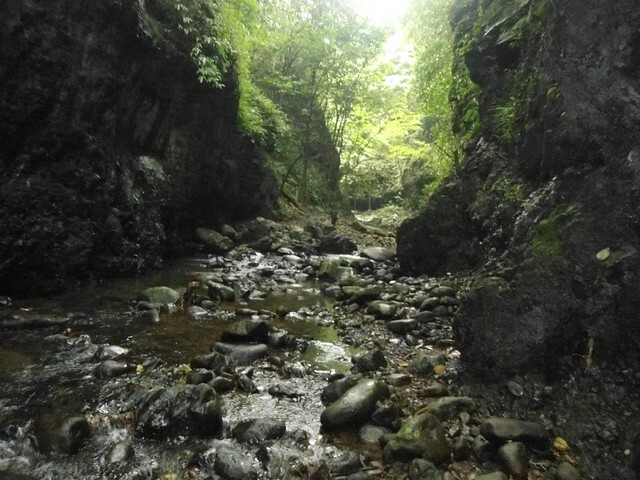 Famy, is very well known not just for its extremely muddy trail but also for the waterfalls it harbors. 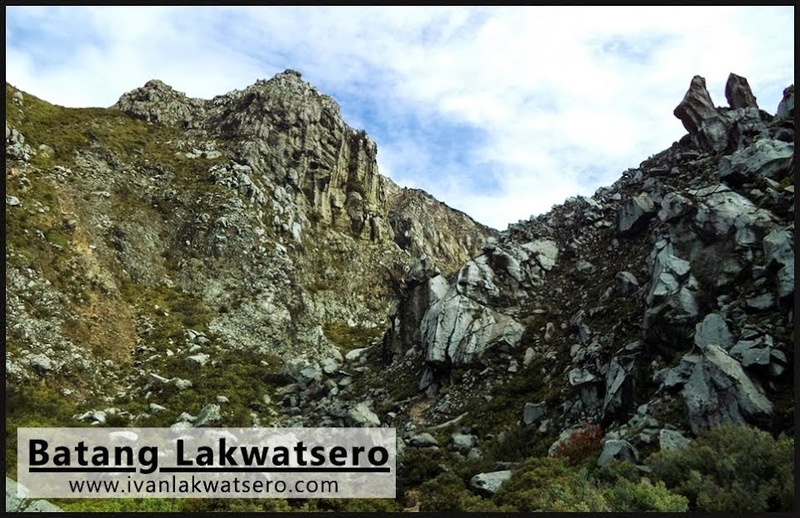 Kaya naman, I chose this mountain to end the month of September, a muddy and dirty month-ender hike. Mt. 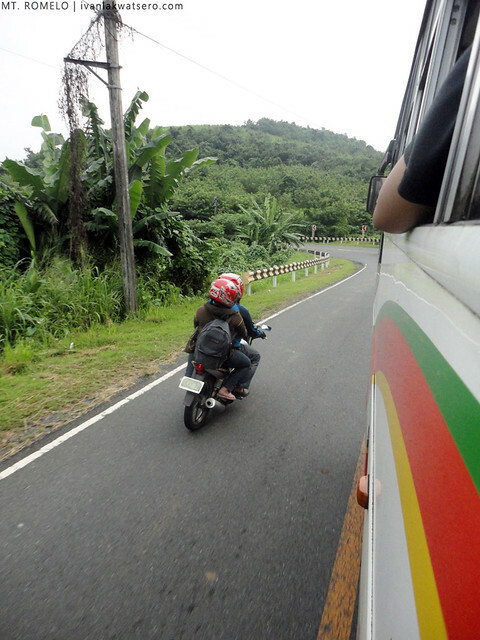 Romelo is a mountain very accessible from Manila through Raymond Bus Line, ang bukod tanging bus na dumadaan sa jump-off ng Mt. Romelo. 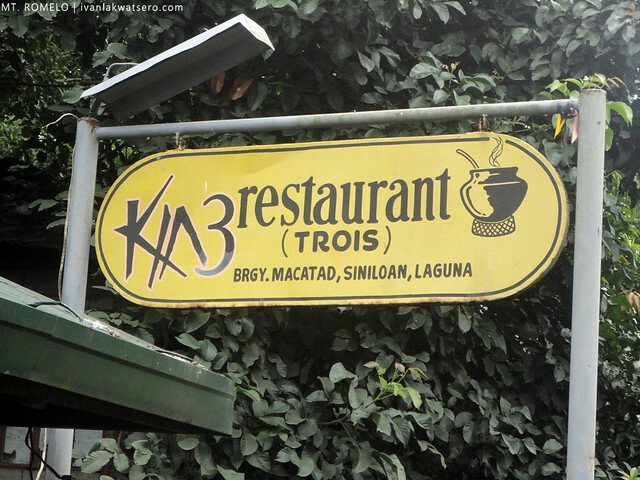 From its terminal in Legarda Street, we traveled for about 2.5 hours (P109.00) to its jump-off in KIA3 Restaurant (aka Trois) via the winding roads of Rizal Province. Just tell Raymond bus to drop you at Buruwisan Falls, you'll know you're on the right place if you see this resto. Also take note that Mt. 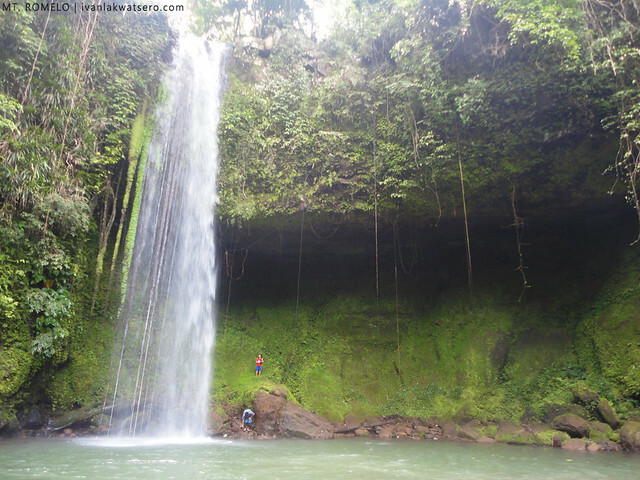 Romelo and its waterfalls are part of Siniloan and not the nearby town of Famy. We then walked for about 5 minutes towards the registration area where we paid the required P50 registration fee (nag-increase na from P20). And at 09:30 AM, we set off for Mt. Romelo. Nothing seemed so special on trekking this mountain, the views were typical so as the vegetation that line its trails. The hike was relatively very easy (recommended for beginners). 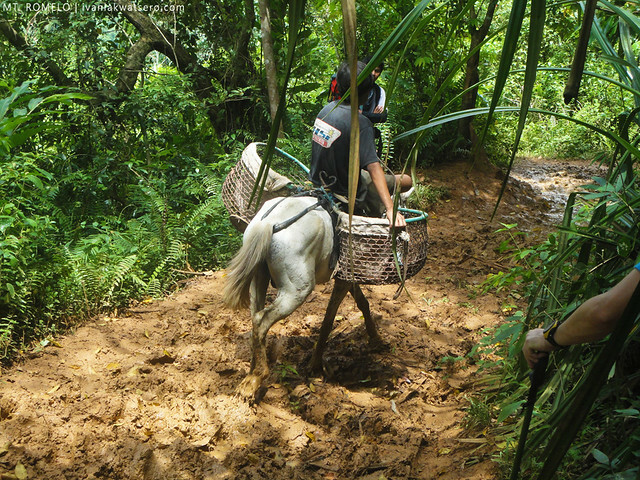 The criss-crossing horse trails would end on the same point so chances of getting lost here is very minimal, if in doubt, just ask the locals you'll meet along the trail. 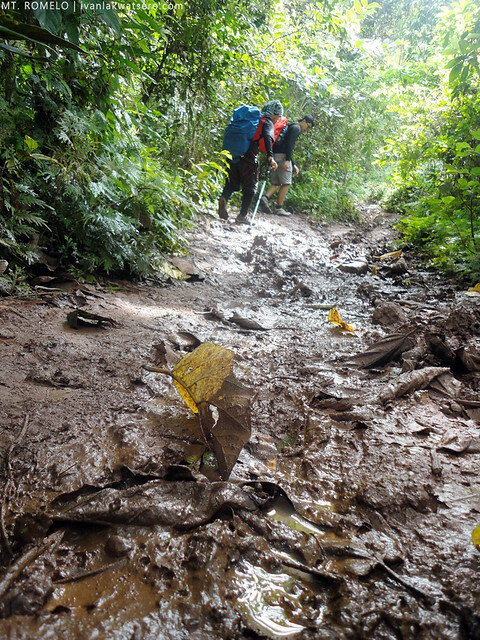 The only challenge here is perhaps the muddy trail that everyone would encounter from the very start. 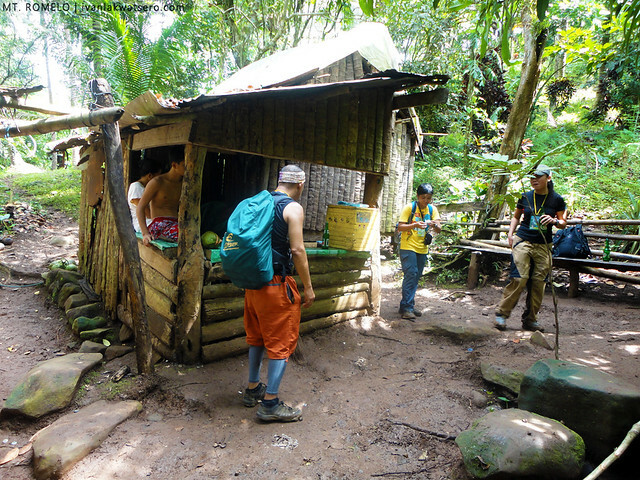 There were a number of huts along the trail, all of which were selling refreshments like buko juice, ice candy and cold soft drinks. At 10:45 AM, about an hour from the registration site, we reached the grassy dry terrain which I believe is the summit of Mt. Romelo. The view was again very ordinary. We did not stay there long dahil sobrang init lang ng araw. summit of Mt. Romelo, an open grassy area. 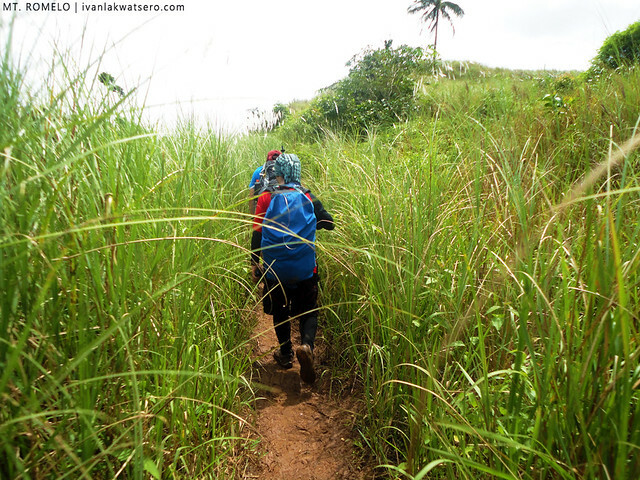 Past the grassland, we entered the extremely muddy trail (ankle deep mud) down to Siniloan's waterfalls. 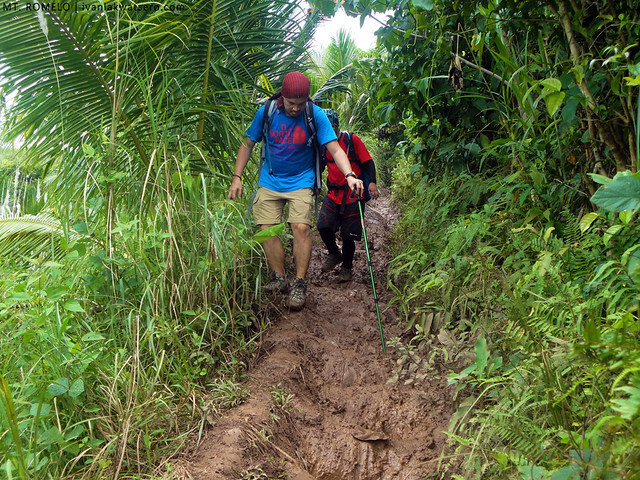 Thank goodness we had a wonderful weather that day, kung nagkataon baka knee-deep daw yung mud. 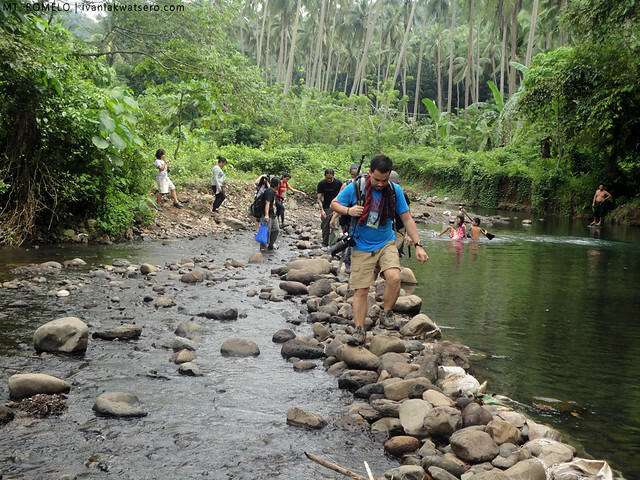 It was 12 nn when we reached the water system (Romelo River) that gives life to the falls of Siniloan. merong nagaganap na rappelling activity sa Buruwisan Falls kaya marami rin tent sa paligid. 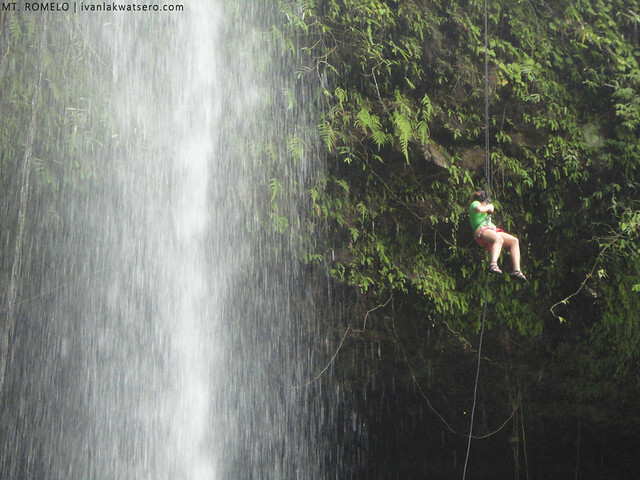 people who enjoys rappelling activity would certainly love this place. 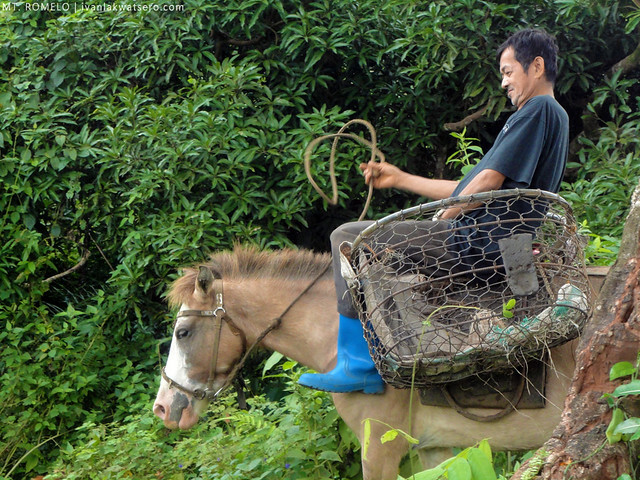 I guess it is the waterfalls complex of Siniloan that draws mountaineers/thrill-seekers to Mt. Romelo and not the mountain itself. I, myself, am more interested with Buruwisan Falls than the summit of Mt. Romelo. A day would not be enough to explore the beautiful waterfalls of Mt. Romelo. There are 4 known waterfalls in the area, namely Buruwisan Falls (the most popular), Lansones Falls, Sampaloc Falls and Batya-batya Falls. Among these 4 waterfalls, we only visited 2. Batya-batya falls is also an amazing natural wonder but I got no photo of it because one will need to swim a neck-deep water to reach it. Ayoko i-buwis yung dala kong camera kaya iniwan ko na lang. Since it was only a day hike, our time there was very limited. At 03:00 PM we decided to march back to the jump-off, it took us only about an hour to descend Mt. Romelo. It was a fun petiks climb for me, and I met three hiking bloggers on this hike: Macpol of www.weekendsidetrip.com, Mina of manongunyol.blogspot.com, and Tin of nagbabasangpinoy.wordpress.com. You are not kidding when you said the trail was muddy! How many times did you get separated from your shoes or rolled in the mud? I hate muddy trails, especially deep ones. Thanks for the narrative. One thing, though. KIA 3. I am certain it was meant to be KM3, as the site is located at KM3, Brgy Macatad, Siniloan Laguna. I cannot blame you for reading it that way, though hehe. For some reason, people from Siniloan love writing the letter M that way. I, myself, is guilty for that. From Cavite ako Sir dalawa kami sir baka pwede Sumabay. .
Sir muddy p b s romelo ngyon? plan namin umkyt s may19, saka ala n b un magnanakaw dun at ala dn issue ng hold up? sir/maam just wanna ask if safe po ba mag hike sa mt. romelo? me and my friends are planning to hike this sunday. need your advice. 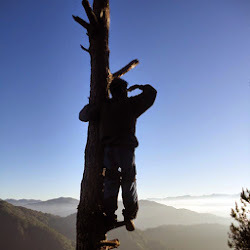 it is generally safe naman for dayhikers. lahat kasi ng incidence ng nakawan ay yung mga nag-oovernight. Sir just wanna ask if safe po ba mag overnight sa Buruwisan falls? or meron bang mga nag o-overnight doon? me and my friends are planning to hike next month. need your advice. Do you know if I can take my dog there ? Overall experience was fun. Would love to go climb Mt. Romelo to see Buruwisan again!